One of the world’s best snow festivals takes place in the French Alps at the end of this year’s Ski Season – with early bird tickets now available for the bargain price of £49. 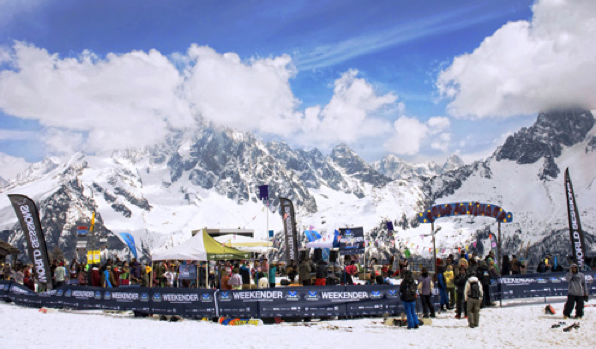 Winter Sessions 2012, which takes place in Chamonix on March 31, will feature a stellar line up of live music and DJs, including Norman Jay, Cheeba, Zero 7 and Trojan Sound System as well as Lazy Habits, Running Numbers, Jon Kennedy and Mr Thing. Daytime activities include ski and snowboard competitions, a mountain top bar and BBQ, iPod battle, an Alpine bake off and onsie competitions. Chamonix is the third most visited natural site in the world for some damn good reasons! Walk into an ice cave of one of the longest glaciers on earth; the Mer de Glace, check out the view from the Aiguille du Midi some 3,842 metres high, go husky dog sledging or take a helicopter ride around France, Italy and Switzerland in one afternoon. It boasts some of the most amazing terrain in Europe, over 600km of piste – not to mention what you’ll discover off piste. Freeriding at its very best! Winter Sessions official travel partner, Off The Piste, are offering some unbeatable holiday packages around the Weekender. Bespoke holidays from just £314 pp including 7 nights self catered accommodation, 6 day ski pass and 2 day festival wristband which gives you access to a range of fantastic discounts across the Chamonix valley (skis, boards and boots hire, restaurants, bars & experiences).